In Learning to Think Strategically, author Julia Sloan presents a previously unexamined account of the relationship between strategic thinking and the learning process involved - taking learning from the academic to the everyday. 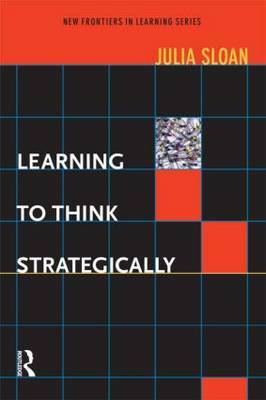 This book is an original primer on how successful strategists learn to think strategically. This authoritative book traces the history of strategy, differentiates strategic thinking from planning, describes the influence of culture, streamlines the roles of rationality and intuition, and identifies five key attributes for learning to think strategically. Learning to Think Strategically asserts that learning is the critical link to strategic thinking. Learning is a "conversion tool" that can transform thinking strategically into a sustainable competitive advantage.